Junk Happens can provide a wide range of services not just limited to junk removal. We also offer services such as Appliance Recycling and disposal, removal of demolition debris, Furniture removal, Yard waste removal, commercial junk removal and foreclosure removal! No matter the job, we always make sure that we have everything covered! Never wait for tomorrow, because another day that you do not have these rubbish taken care of is, another day you are looking at the pile. When we talk about junk removal in Maple Grove MN, there is only one company to trust. We ensure that we have all the mess from excess trash, scraps, and other unnecessary items covered. In no time, your messy space will become spotless. Moreover, we can help you do it in a professional and affordable way! We are a team of experienced professionals that are always ready to be on the move, we are just one phone call away. Our staff has undergone rigorous training in the proper execution of waste removal and junk removal in Maple Grove. We are flexible and we can work in whatever space you need our services, such as attics, garages, and even basements. We never back down no matter how big or small the job. If you are looking for a junk removal service Maple Grove MN, consider us and we will make your time and money worthwhile. There is no arguing. Junk Happens is the way to go if you are looking for an all-in-one junk removal in Maple Grove. Our company exists to serve and be available to the people of Maple Grove. We are the most sought-after service company when it comes to anything related to clearing junk. Aside from the simple removal of waste and trash, we can also help you clear out your space from a demolition. There is no other company out there that is more efficient, fair-priced, and reliable like us. Our goal is to give you our extensive services in a manner that is both fast and efficient. We want to make things hassle-free for you. We all know how tedious junk removal in Maple Grove can get. If cleaning up is not one of your strengths, then our service company is more than happy to provide you with our services. Call us and we can discuss your junk removal projects. Be it as simple as waste removal in your backyard or cleaning up after a demolition job, we are here to help. You might just overlook it for now but trust us, you will need to get a junk removal in Maple Grove company like us to do virtually everything related to removal for you! What are types of services do you help with junk removal in Maple Grove? Junk Happens offers eco-friendly solutions for junk removal in Maple Grove to residential and commercial customers. We do all the loading, removal, pick-up, clean-up, and donating of your unwanted items. 100% of items collected by Junk Happens are recycled, reused, or turned into energy for electricity. We are a locally owned and operated company. The items we can’t take are – Hazardous materials, paint, solvents and oil. How can I benefit from Hiring a professional junk removal in Maple Grove MN? No matter, what the type of junk there may be, it must be disposed of effectively with the help of specialists in junk removal in Maple Grove MN. Saves Time – it takes a lot of time to remove the junk when you personally have to deal with it. Convenience – Why would you do sweaty work and get dirty by removing Junk? When there are experts to help you with it. The Experts know how to dispose of waste – They know which waste should be recycled and which one should be dumped. So, an expert team is your best bet. Avoids injury – If you are not trained on heavy lifting, there is a chance that you might end up hurting yourself. Wait! Would you want to lift a large cumbersome couch by yourself and get hurt? Or use the backs and equipment of a professional to safely removal it? Call 612-333-JUNK (5865) now, for a low-cost junk removal service. What are the things that I should consider when looking for a junk removal service in Maple Grove MN? There are many factors for you to consider before hiring someone for junk removal in Maple Grove. · Check for their positive reviews and ratings online. · The junk removal Maple Grove MN services should be able to collect the junk in a short time and complete the job as quick as possible. · Their team should consist of sufficient expert resources and tools to handle all types of work. 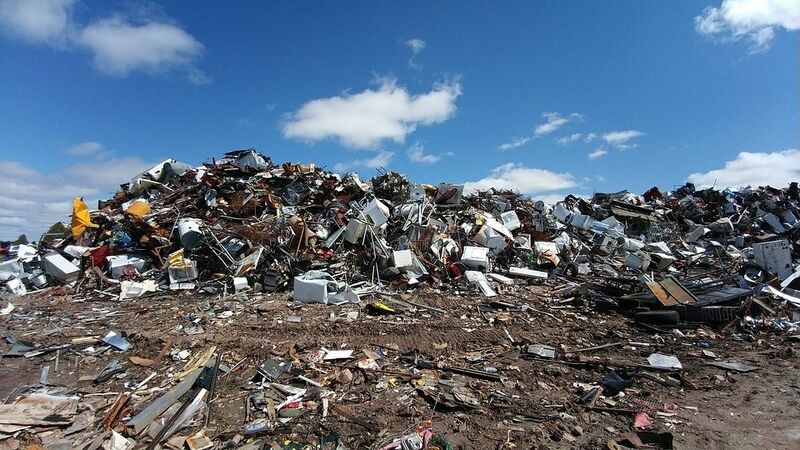 · Check if they are environment friendly, because good junk removal companies – Recycle! · Finally, check if their services for junk removal in Maple Grove are Certified, Licensed and Insured. There are some items which I don’t want to keep, but I don’t want to dispose of them. Do you have any ideas for me? Our licensed experts in junk removal Maple Grove MN always go the extra mile in your project. They are trained to sort the items that could be of value. Upon identifying items of such nature, they check with the customer, and donate the unwanted items of value to a non-profit service, who will ensure that items reach the people who are in need and dispose of the rest of the junk in a safe way. Call 612-333-JUNK (5865) to talk to the experts for a low cost junk removal service. Why do you need to visit in person in order to give me an accurate price? Our services for junk removal in Maple Grove does not involve any hidden fees, still, the MN state solid waste taxes and surcharges may be applied on certain items. Our minimum charge is $109.00. The rates are only approximate and we can guarantee prices only after assessing the workload in person, as there are some demolition tasks that may require additional labor charges. If you have a specific list of items or have a picture you can text to 651-242-6783, we can give you a quote via phone call or text. Also, when compared with our competitors, we have the biggest trucks with 18 cubic yards. Still, our charges for the full load prices are less than our competitors. Our pricing page at www.junkhappens.com/pricing/ shows a comparison picture of our trucks versus our competitors’ trucks.